Fleur de Figuier is a fresh, sweet floral scent that develops into a slightly woody, green fragrance. The strong, crisp fig tones develop as they blend with those of the mandarin blossom, grapefruit and cumin; developing alongside the base notes of fig nectar, cedar, and musk to create a strong fragrance with longevity that develops throughout the day. Whilst I feel Fleur de Figuier is more of a spring/summer scent with it's fruity and overly sweet fragrance, it also has enough woody depth for it to be worn in autumn/wintertime, especially during the day time. Each time I've worn Fleur de Figuier I've received compliments on how lovely the fragrance smells; it's light, airy, and sweet without being obnoxiously so. The sweetness fades into a mellow yet strong green scent that lasts all day. 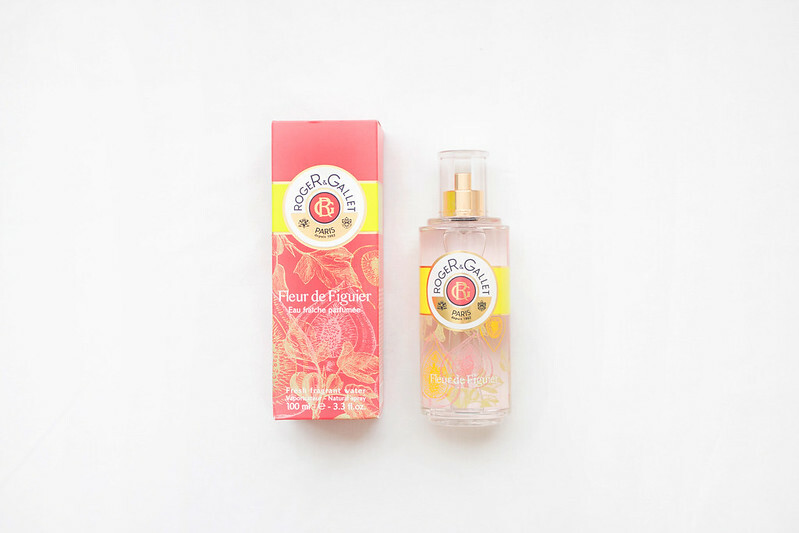 If you prefer lighter perfumes, syrupy rather than musky scents, I'd recommend trying Roger & Gallet Fleur de Figuier.